As of July 2001 PeteNetLive is now officially a Digicert Affiliate Partner. Our regular readers now have access to discounted SSL certificates from one of the most wellknown market leaders in digital certification. SSL Certificates from DigiCert provide the strongest 2048-Bit and SHA-2 encryption available in a variety of options designed to meet your needs, whatever they may be. 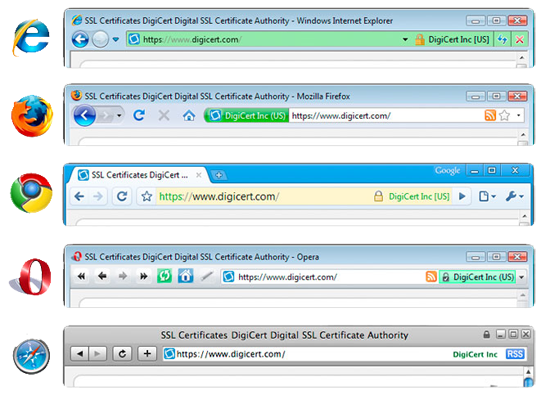 Whether you need WildCard SSLfor multiple sub-domains, a Unified Communications Certificate designed for Microsoft Exchange Server (sometimes called a SAN Certificate due to its use of Subject Alternative Names), the stronger identity assurance and green address bar of Extended Validation EV SSL, or a standard Single-Name Certificate, DigiCert has the solution for you. If you’re not sure what you need, this Certificate Comparison page can help you decide. Unified Communications Certificates, also known asUC Certificates, or UCC Certificates give you full control of the Subject Alternative Names field so you can secure as few or as many host names as you like with just one SSL certificate. Although UC certs are usually used in conjunction with Microsoft Exchange Server 2007 or 2010, they can be used with any major server type to secure multiple distinct hostnames in one certificate using the “Subject Alternate Name” field. Need to secure a single server name? SSL Plus™ Certificates from DigiCert have all the features you expect, along with a few benefits you won’t find in any other single ssl certificate. Online shopping is about trust, and getting Extended Validation EV SSL certificates is one of the most effective ways to build trust with your clients. EV SSL Certificates help you protect your most valuable assets, your customers and your brand, by protecting them from phishing scams and online fraud. Do you need one certificate to secure an entire domain with multiple subdomains (“www.petenetlive.com,” “mail.petenetlive.com,” etc.)? Do you have multiple servers (web servers, mail servers, intranet servers, testing servers) that all need an SSL certificate? WildCard Plus, DigiCert’s wildcard ssl certificate, is the product for you. WildCard Plus certificates have all the features you would expect from a wildcard certificate, along with a few features you may not get with other wildcards.